The Matadors (8-6, 2-2) would not let fatigue get the best of them as they won a second match during a strech of five matches in eight days. They defeated the New Mexico State Aggies (5-9) 4-2 Tuesday at the Matador Tennis Complex. 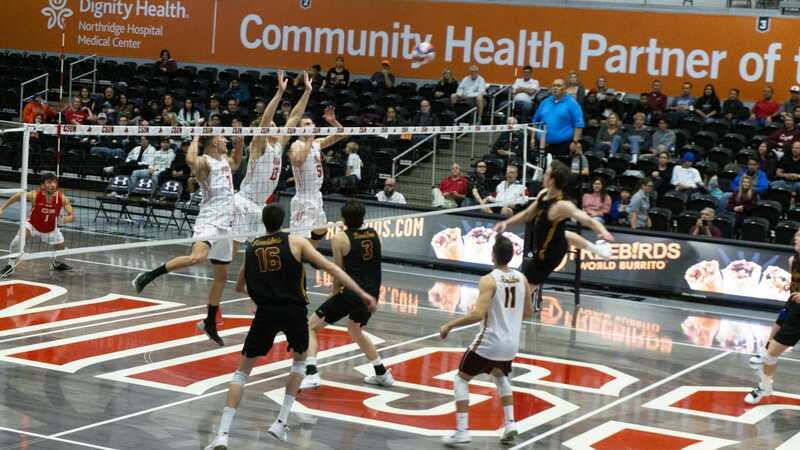 CSUN grabbed three points for sweeping the doubles matchups with easy victories by the No. 1 and No. 2 duos. No. 3 doubles partners Lorraine Cheung and Scout Shutter pulled away from their Aggies counterparts in an 8-6 victory. Freshmen No. 1 and No. 2 singles players Vivian Lin and Mickey Hsu won their matchups in straight sets. 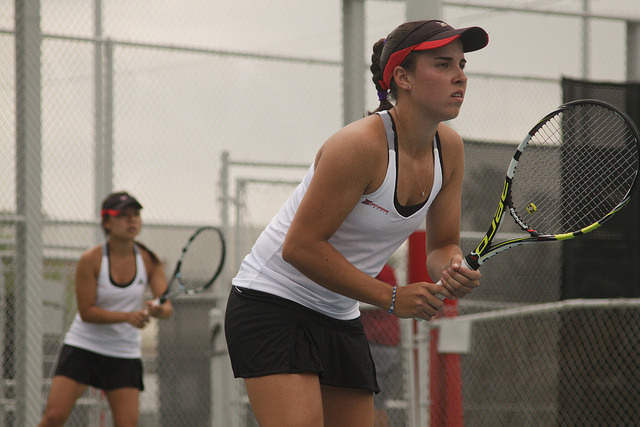 Lin only dropped two games winning 6-1, 6-1 while Hsu cruised, winning 6-3, 6-2. Cheung clinched the match for CSUN as she defeated Aggie junior Denise Van Der Ben 6-3, 6-4. Cheung had to adjust to her opponent, as Van Der Ben had a similar style of play, forcing Cheung to adjust. Head coach Gary Victor was proud of Cheung’s performance following the match. Cheung’s first victory came in a four-hour game on March 9 against Montana. On Sunday, she defeated the Boise State Broncos’ winningest singles player, sophomore Megan LaLone in straight sets. Sophomore Leslie Chang won the third singles matchup of the day, defeating freshman Gabrielle Joyce 6-2, 6-4 to improve to 3-0 on the season in singles matches. 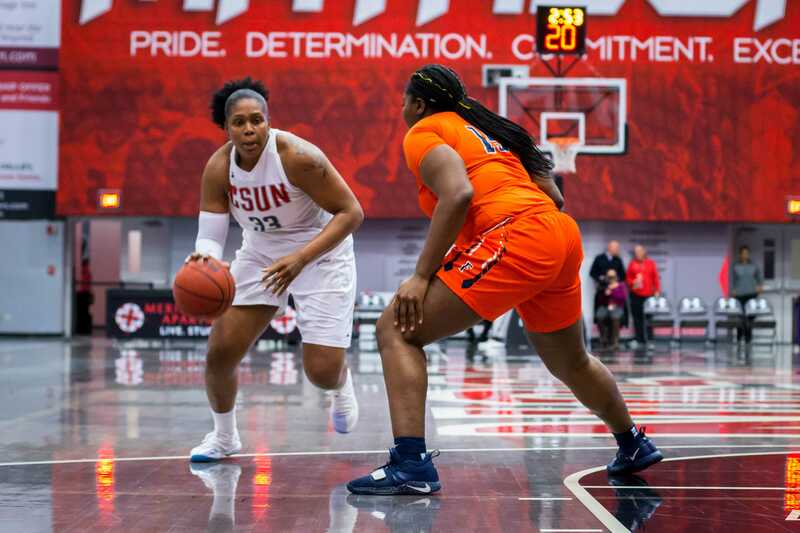 With the victory on Tuesday, the Matadors clinched a winning record during their current seven-game homestand, improving to 8-4 at home on the season. 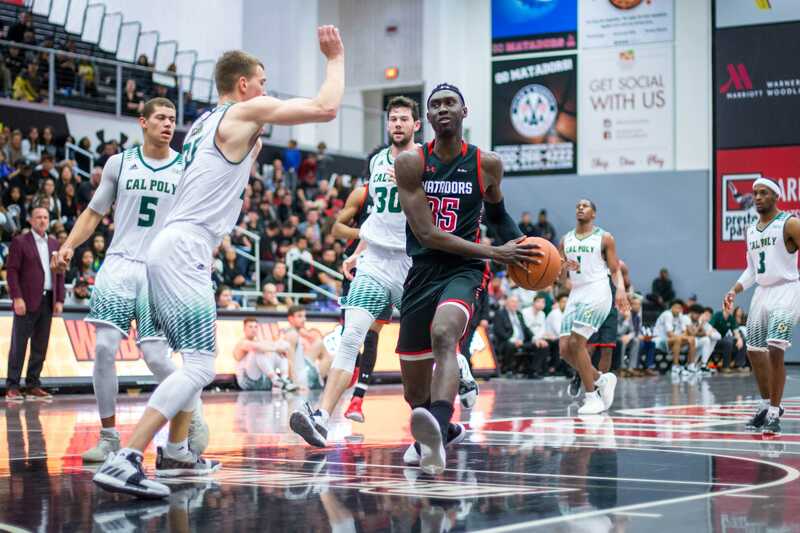 Despite their over .500 record during the homestand, CSUN didn’t make ground in the Big West, as they haven’t played a conference opponent since March 8, a loss at the UC Irvine Anteaters. However, Victor was satisfied with the team’s performance in the past two weeks. Junior Criss Rodriguez, No. 1 doubles partner to Lin and usual top-3 singles slot, was able to nurse an injury and return to play this week. On Monday she did not complete her match with Aggies No. 3 singles senior Ros-Polly Nguyen, recording a Did Not Finish (DNF) in a tie-breaking third set at 3-3. 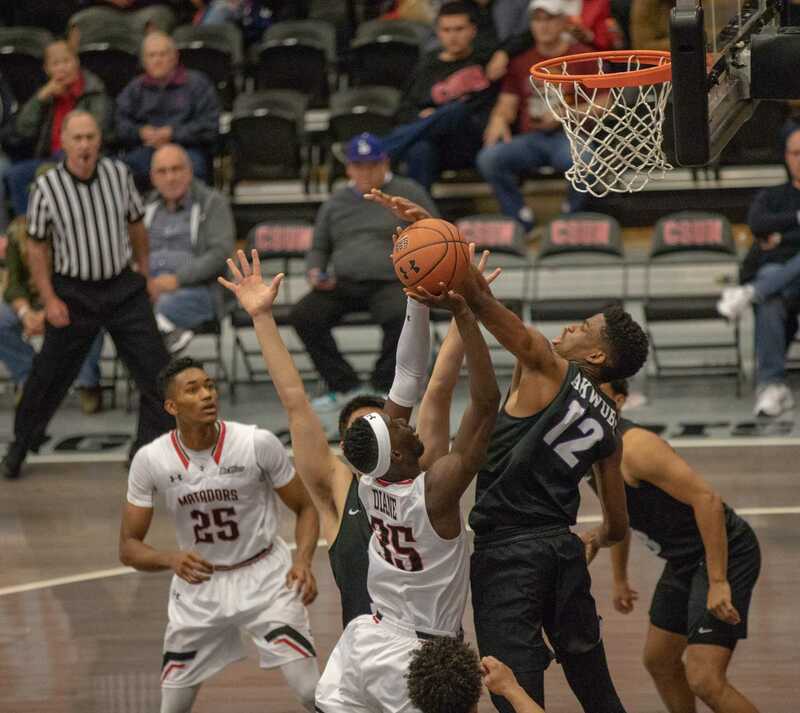 Over the homestand, Victor was able to use more variety in his lineups, as junior Corinne Schnyder and freshman Scout Shutter saw time on the court with Shutter earning a few big victories. 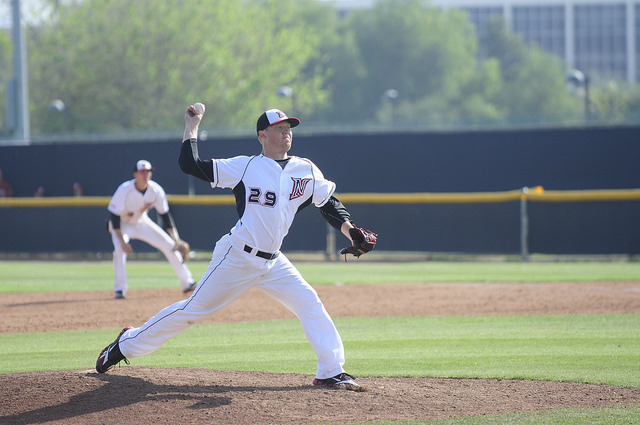 The Matadors will conclude their homestand today at 1 p.m. when they face the Wellesley Blue.